Ross County have signed Swiss centre-back Branislav Micic from FC Sion. The 22-year-old left-sided defender joins for the rest of the season and County have the option to extend that. Leaving the Dingwall club are Ross Tokely and Marc Fitzpatrick, who have been released. 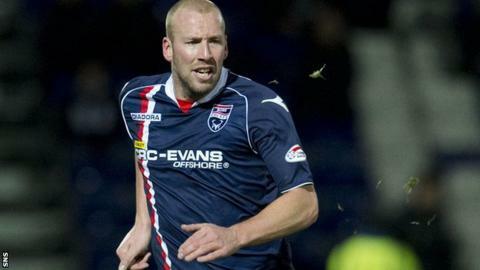 Centre-back Tokely made 19 appearances for Derek Adams' side after signing from Inverness in the summer, while full-back Fitzpatrick departs after joining County from Motherwell in 2011. Micic joined Sion from Swiss second tier club Le Mont in 2010. "There will be no more ins or outs today," Adams told BBC Scotland.